Published on April 2, 2012 5:07 pm. Published on April 12, 2019 4:49 pm. Published on March 28, 2019 2:11 pm. 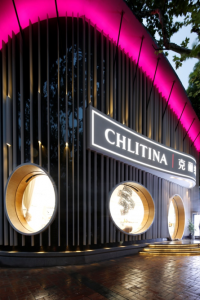 Hong Kong, China, March 23, 2019 /ChinaNewswire.com/ - Hong Kong Cruise and Yacht Industry Association (HKCYIA) has reached a partnership agreement with the China Merchants Industry Holdings Co. Ltd for the establishment of the Hong Kong’s first Superyacht Management Services Center in Tsing Yi. Located at the Yiu Lian and Euroasia Dockyards, the centre will provide world-class supporting services for superyachts of over 45 meters, including yacht refit, repair and maintenance services. Published on March 23, 2019 3:12 pm. Published on March 22, 2019 4:00 pm. 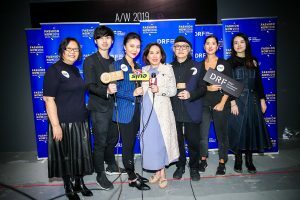 Hong Kong, China, March 20, 2019 /ChinaNewswire.com/ - “Factory Forward: JCCAC Arts@MTR” is a collection of exquisite artworks that celebrates the talent of the resident artists of the Jockey Club Creative Arts Centre (JCCAC) in Shek Kip Mei. The art pieces range from an oil painting depicting footbridges juxtaposed with one another outside MTR Wong Chuk Hang Station to an installation work of traditional gongs forming a music box, and ceramic sculptures portraying people’s imagination. The works handpicked by the JCCAC are on display at the latest “Art in MTR” exhibition near Entrance/Exit J of MTR Central Station from today (20 March 2019) to 20 May 2019 for the appreciation of those who travel to and from the station. “The exhibition features art pieces from 11 talented visual artists, including ceramics, oil painting, photography, Thangka and installation works. Having transformed a previous factory block into an iconic artist village, we are particularly proud of all resident artists and cultural organisations that span across different artistic genres. Since our establishment 10 years ago, the JCCAC has been dedicated to facilitating Hong Kong’s arts development. We thank the MTR Corporation for its continuous support which allows us to bring ‘factory forward’ and showcase the most local and down-to-earth Hong Kong artworks to a multi-faceted audience base,“ said Ms Lillian Hau, Executive Director of JCCAC. “We are pleased to provide a platform for creative individuals to showcase their talent to a mass audience. The artistic flair added to the station not only makes passenger journeys more delightful but also nurtures art and cultural development in the Hong Kong community,” said Ms Linda So, Corporate Affairs Director of MTR Corporation. “Factory Forward: JCCAC Arts@MTR” is the latest exhibition for the “Art in MTR” programme under the Corporation’s “Community Connect” platform. “Art in MTR” provides a platform for aspiring artists, designers and talented individuals in the creative industries to showcase their works to the community. The objective of this programme is to enhance passengers’ travelling experience through easy access to different art elements including live performances, short-term art exhibitions and permanent displays of art pieces. Published on March 20, 2019 2:32 pm. Ruckus Networks, an ARRIS company, has announced it received Federal Information Processing Standard Publication 140-2 (FIPS PUB 140-2) certification for its wireless access points (APs). Compliance with the U.S. government security standard broadens the connectivity solutions available for Ruckus’ government customers. Budget and staffing realities – as well as evolving security threats – are making it more challenging for government departments to succeed in their missions. Governmental IT infrastructure must be continuously modernized to manage and function at scale with existing resources. Today’s government IT networks are at a crossroads. For too long, these networks have been locked into old technologies without the budget to innovate. Published on March 18, 2019 5:41 pm. Published on March 18, 2019 8:58 am. Published on March 14, 2019 11:19 am. JOS, a technology solutions provider for Asia’s changing environment, and its partners, Manulife, Hong Kong Maxim's Group and Sino Group have announced the shortlisted teams in the annual JOS Innovation Awards. At a kick-off ceremony held today, the thirteen teams, numbering over forty students, participated in a learning and sharing session about customer experience challenges found in the technology, insurance, food beverage services and property sectors. All those shortlisted can now look forward to the battle round on 12 April 2019 where four teams will walk away with HK$30,000 each and win a place on the JOS Innovation Awards 2018-19 mentorship programme. Industry pundits from JOS, Manulife, Hong Kong Maxim’s Group and Sino Group will provide valuable insights into learning and what it takes to succeed in business together with potentially offering internships. The Awards themselves are designed to demonstrate creative thinking and problem solving skills to everyday business challenges. The JOS Innovation Awards 2018-19 attracted over fifty teams of between two and five university students in Hong Kong all examining the customer experience challenge and coming up with solutions for JOS, Manulife, Hong Kong Maxim’s Group and Sino Group. 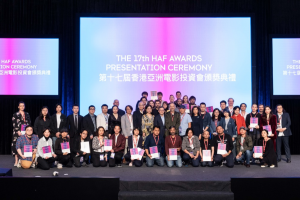 "Especially impressive was how the entrants highlighted specific issues associated with the insurance sector and showed an understanding of the critical role our agents play in the customer experience journey,” said Francesco Lagutaine, Chief Marketing and Experience Design Officer, Manulife Asia. “Manulife is focused on helping people make decisions easier and their lives better and leveraging technology to deliver on this. We’re excited to see the ideas the students present after gaining more understanding of our industry and customers." During the kick-off ceremony, representatives from JOS, Manulife, Maxim’s Caterers Limited, and Sino Group took part in a panel discussion on customer experience, the challenges faced, trends and spoke about the JOS Innovation Award submissions. The session also provided the teams with genuine insights and learnings from Hong Kong business leaders in a closed-door setting. "The customer journey is evolving in an increasingly tech-savvy world where everything is available at our fingertips. This is the same for the food and beverage industry with customers opting for diversity, speed and convenience. This requires innovative ways to understand the customers’ decision-making process. We are excited to gain inspiration from all the entries as this brings us even closer to customers and further enhances the overall customer experience," said Louis Mah, Director of Information Technology, Hong Kong Maxim's Group. “The JOS Innovation Awards entries provide us with valuable insights to keep the customer experience fresh and relevant in the new era, particular at our properties. 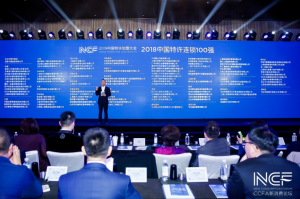 These enable us to identify areas for improvement and to harness technology to enhance the Sino Experience,” said Andrew Young, Associate Director (Innovation), Sino Group. 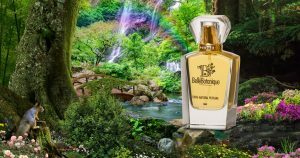 “There are over twenty thousand students graduating from Hong Kong universities every year who look to gravitate towards companies they perceive to have the strongest brands. This perception is shaped, in part, by the experience they have received as customers. Thus, the customer experience theme has allowed every participant to address issues they have experienced and to find a solution,” said Eric from JOS. Published on March 11, 2019 5:12 pm. Ruckus Networks, an ARRIS company, today announced that Ruckus Cloud Wi-Fi, a cloud-managed Enterprise Wi-Fi solution is available in the Asia Pacific region. Ruckus Cloud Wi-Fi allows network administrators to manage multiple locations through a single web- or mobile app-based dashboard. The solution is designed to help ‘Lean IT’ staff at schools, retail, professional services, warehouses, and hotels easily deploy and manage a multi-site network while delivering exceptional connectivity for students, guests, and customers. Ruckus Cloud Wi-Fi also helps organizations lower their total cost of ownership (TCO) compared to other solutions by combining cloud efficiency with high-performance access points (APs) that serve more users over a wider area. The Ruckus Cloud Wi-Fi solution offers short videos to learn about its new features, and a network to auto-update and remain secure, informing them through text messages and push notifications via a mobile app of any outages. Designed for both simplicity and ease of scaling, Ruckus Cloud Wi-Fi allows businesses of all sizes to deploy and remotely manage Wi-Fi networks across multiple sites. With a single interface to create new Wi-Fi networks, add access points, and monitor network performance and activity, the solution allows administrators to manage from anywhere using an intuitive, web-based interface or the Ruckus Cloud mobile app. Ruckus Cloud Wi-Fi is available now in the Asia Pacific region. Published on March 6, 2019 2:56 pm.